Ernest Philip Tresidder was born in Bendigo, Victoria, on 30 April 1873, the son of William Tresidder and his wife Elizabeth, nee White. In 1900, he married Ada Cecilia Johnson, in Victoria. Ernest Tresidder died at Little Bay, Sydney, on 9 March 1951, survived by his wife who died in February 1957. Ernest Tresidder was educated at Bendigo Public School. He later became a director of the Sydney Cake Co, Joyce’s Biscuits Ltd, Home Endowments Ltd, JT Jennings Ltd, and several oil corporations. He was appointed Justice of the Peace. Tresidder also owned several racehorses. Tresidder was elected member of the Legislative Assembly for Randwick from 8 October 1927 to 18 September 1930. Ernest Tresidder was Alderman of Randwick Council from 1919 to 1929. He represented the Nationalist Party. He was Mayor of Randwick Municipality in 1922-24 and 1926. 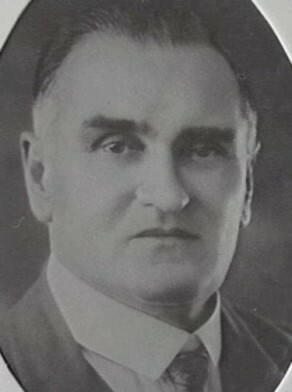 Tresidder was elected Alderman for Fitzroy Ward, 18 June 1930 to 1 December 1944. He was a member of the Works Committee, 1930-34 and 1938-44, the Health and By-Laws Committee, 1930-34 and 1938, the Electricity Committee, 1930-42, the Finance Committee, 1935-37 and 1943-44, the City Planning Committee in 1937, the Health and Recreations Committee, 1939-44 and the National Emergency Services Special Committee in 1942. He was a member of the Metropolitan Water, Sewerage and Drainage Board, 1933-35, Chairman of the Sydney County Council, 1940, and Councillor, 1938-41.